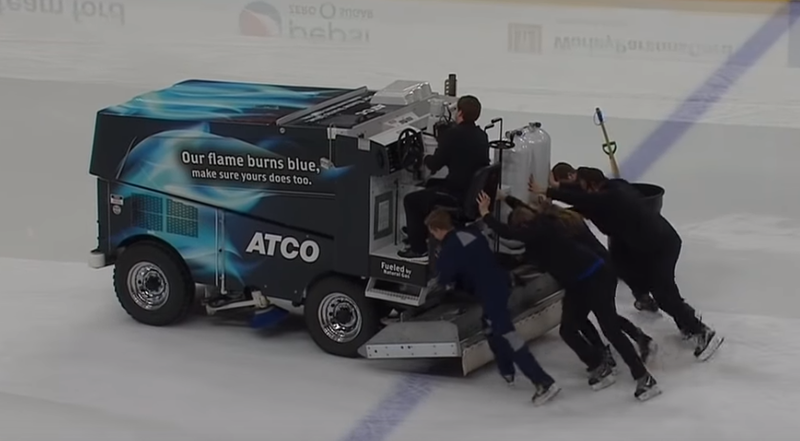 The Edmonton Oilers had some unusual equipment issues prior to Saturday night's game against Calgary when their zamboni broke down in the middle of its pregame routine. Fortunately, they had a backup zamboni ready to go, and the ice crew pitched in to help push the broken zamboni off the ice. The incident seemed to foreshadow the kind of night it would be for the Oilers, as the Flames won the game 5-2.